You'll be £12.79 closer to your next £10.00 credit when you purchase M65 Atomic Cannon. What's this? Order within the next 5 hours, 3 minutes to get your order processed the next working day! 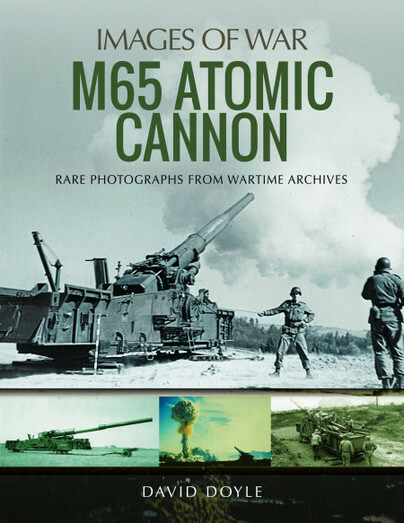 Through historic photos, this volume traces the development, production and deployment of this iconic piece of military equipment from the drawing boards to the Cold War battlefields of Europe. In 1949, the US Army wanted an artillery gun that could fire a nuclear warhead in the event that guided missiles and long-range bombers proved insufficient in delivering atomic weapons. The result was the M65, 280mm Atomic Cannon. On May 25, 1953, at 0830 hours, an M65 of A Battery, 867th Field Artillery Battalion, let loose with the only nuclear round the type would ever fire. Six battalions of the M65 would eventually be deployed, most in Europe with one battalion sent to the Korean Peninsula. Though never used in combat, they served as a significant tactical nuclear deterrent in the early stages of the Cold War.